Shopping for My Little Pony Vinyl Figures? "I didn't put those in my bag." 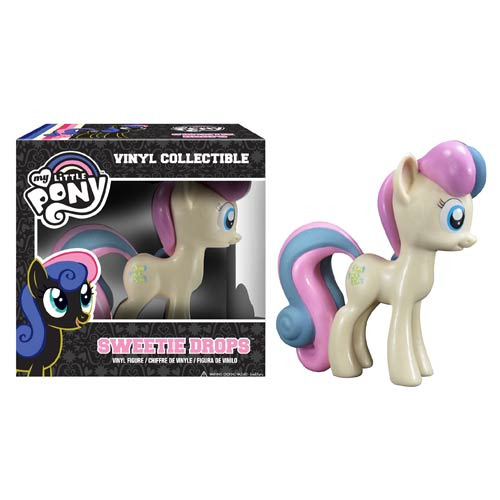 The Earth pony Bon Bon gets her own vinyl figure! This My Little Pony Sweetie Drops Vinyl Figure measures about 4 1/2-inches tall, and features the same look you know and love from the My Little Pony: Friendship is Magic TV show. Because of her perfect size, you can display her anywhere, whether it's at school, work, or at home. Ages 5 and up.